MESSAGE 10: LEARNING THE HISTORY OF AMERICA’S SPACE EXPLORATION WHILE PREPARING FOR COL. BRESNIK’S JULY EXPEDITION. I am happy to say that I am now Second Lieutenant Angelica McNerny, having commissioned as an officer in the U.S. Air Force just before graduating from The Citadel in May. I will keep providing updates about our Citadel Space Star, until a new cadet takes over when Col. Bresnik is on the International Space Station. Col. Bresnik was on standby as a backup crew member for Expedition 51 which launched in April but was not needed. He is now back on track for Expedition 53 in July. Part of my research in preparing to blog about Col. Bresnik’s upcoming expedition took me to Independence Plaza located in Space Center Houston, which is close to Johnson Space Center. For science geeks (and everyone else too), Space Center Houston is a remarkable and fun place to visit to learn about America’s space exploration – perfect for a summertime family outing. Independence Plaza houses the world’s only shuttle carrying aircraft display with a mock shuttle attached. Visitors are allowed inside the craft and the mock shuttle to get a glimpse of the extraordinary feat of modern engineering. As a physics major, I enjoyed the educational displays housed within the craft. They demonstrated some of the scientific principles I’ve learned through my education right here at the Citadel. If you plan in advance of your visit, you can register for Lunch with An Astronaut. I also attended a presentation by Col. Brian Duffy, USAF (Ret. 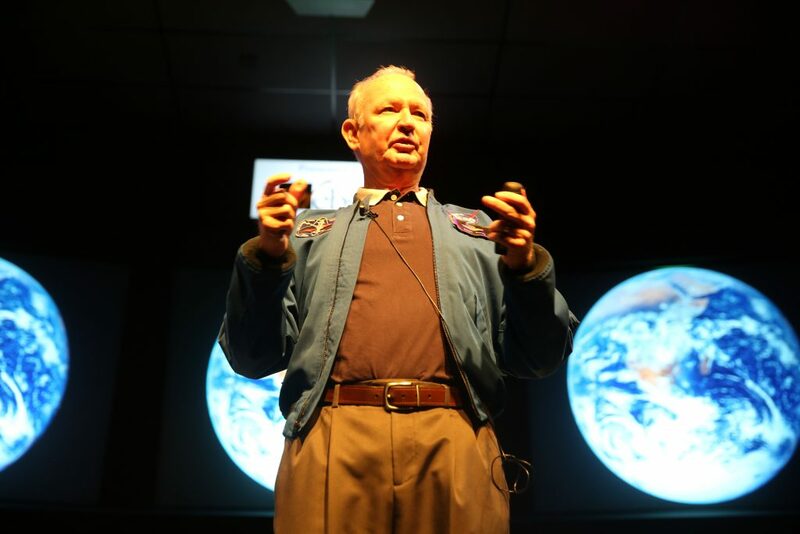 ), a NASA astronaut who was speaking to visitors at Space Center Houston. He earned many honors during his time in the Air Force, including the Distinguished Flying Cross. He was selected by NASA for astronaut training in 1985 and logged more than 40 days in space as a veteran of four space flights. 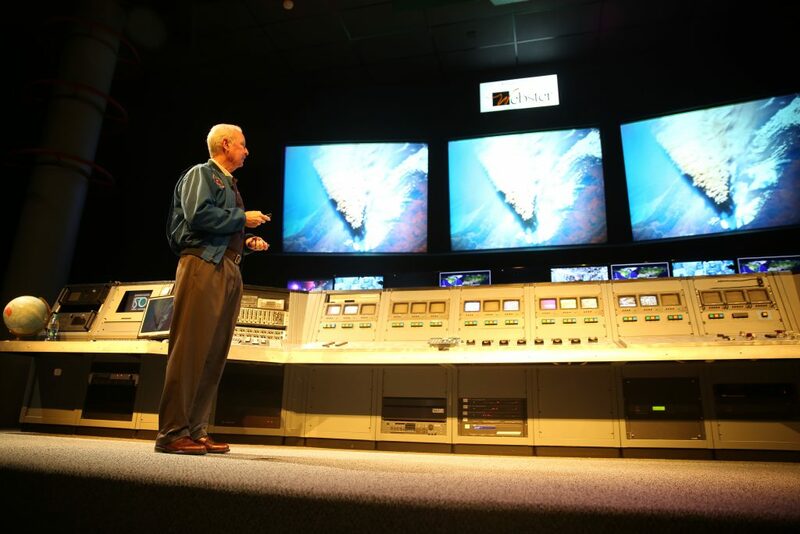 He talked about serving as spacecraft communicator in Mission Control numerous times and as Deputy Director (acting) of Johnson Space Center at one time. He is now a vice president with Lockheed Martin Corporation. It was exciting to hear him speak. I’ll show you more of the center later. As our space program moves forward, places like Space Center Houston help us remember the milestones we’ve conquered through the shuttle program and how far we’ve come. For more on this, check us out on Facebook or follow us on Twitter or Instagram using #CitadelSpaceStar! I hope you enjoy this mini-video from Independence Plaza.